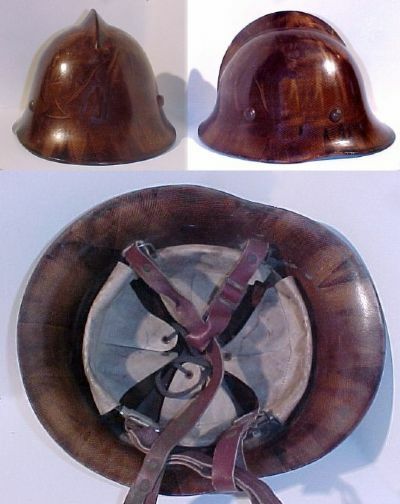 leather liner made by MÜART-Oriental in Budapast. Resin helmet with an unpainted surface. 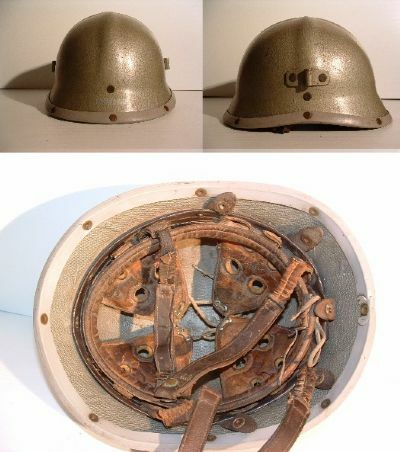 A crude pressed steel helmet with an equally crude cast steel badge welded on the front. 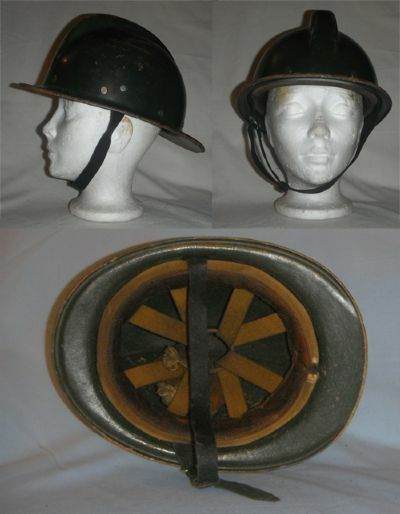 This style of helmet was used extensively in the Soviet Republics from the late 40s until the 70s. 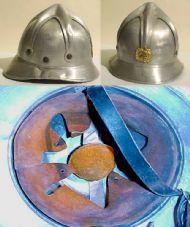 A crude aluminium copy of a Austrian Vienna style helmet. No date for this but they still appear to be in service. The Military Fire Fighters Corp was amalgameted with the Civil Defense in 2004 to form the Inspectorate for Emergency Situations (Inspectoratul General pentru Situaţii de Urgenţă). 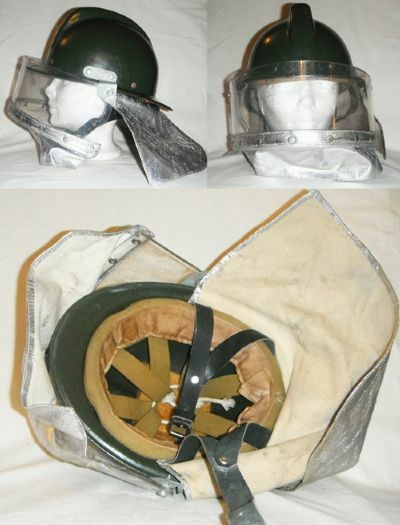 Current pictures show that these helmets are still being worn by firefighters in this agency. 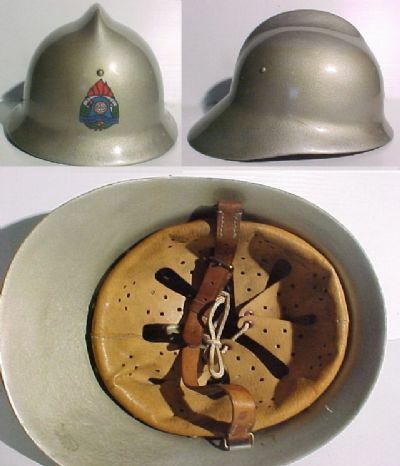 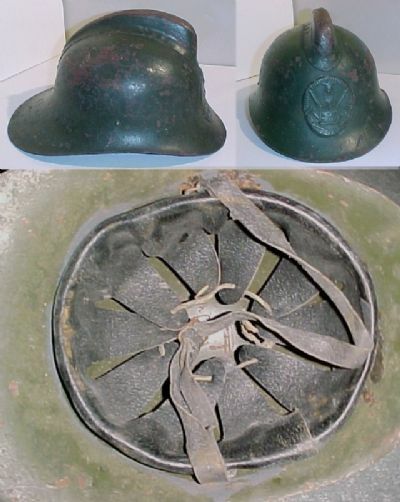 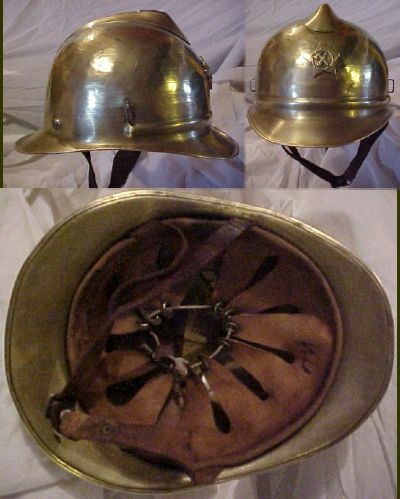 Romanian made fire helmet used between 1995 and 2005. Silver coloured fibreglass shell with leather liner, chin strap and vinyl badge. tag giving information about the helmet. 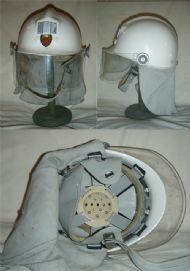 White plastic LEXAN 940 shell with a plastic/leather liner, swivel visor and metal badge.